A new shark species has been discovered off the South Carolina coast Avery and Evan beg to "see real sharks " maybe even discover a megalodon (giant prehistoric shark ) tooth. 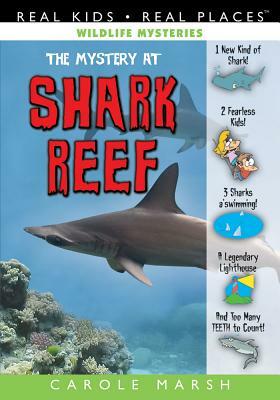 But something's wrong at the shark reef and the mystery needs to be solved "BEFORE SOMEONE GETS HURT BAD " "We gotta save the sharks " Clues lead them on a wild adventure of fun, science, and high-tech gear. "Take a bite of this mystery and you can't put it down "